For those who read my article about the earth seal awhile ago, the a equivalent item available right now name the Seal of terrain. 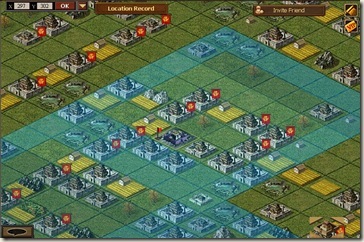 Seal of Terrain: Use to change a 15-resource field city to 18-resource field city. 1. 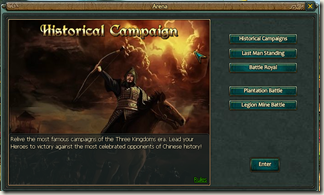 The daily Quests should be 3Kingdoms Quiz, Book of Heroes, and Morning Excercise. 2. All the items are bound and can’t be presented. 3. 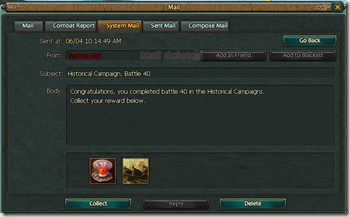 The rewards will be sent to your account from 00:00 to 03:00 in the next day. Info about this event is at the same location. Note: after reading carefully the post, I realised that it take a freaking 10k of gold to get the seal of terrain… 10k of gold is about 375$ usd … which can buy a ps3 and a bunch of game for the same amount of money. 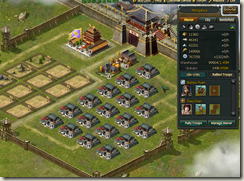 Three Kingdom Online – Surviving the merge. Note : This a post I wrote on the koram forum, I just wanted to share it with you. After playing for awhile in the server 14 a merge with server came and that really wasn’t a good time for me since I was getting married about a week before the merge and was on my honeymoon during the merge. Fearing losing it all I shared my account too some friend. When the merge came I only logged to move my cities. 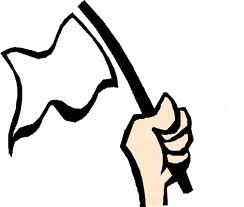 My fate was then in the hand of my friends, thinking, since our server is older so we will squash them anyway. When I came back online a week after the beginning of the war the top league (KokuryoElite) of server 20 and it’s sub league was waging war against us and we were in very bad shape. My troops were decimated, one of my friend and sitter had to leave because he had to go on a business trip, and my other sitter switched to the other side. Behind in constant attack and after a few defeat our league was starting to lose ground and county. I asked my aggressor to stop attacking me considering I missed the fight, they kindly accepted if I joined them. One told me this simple but funny message: "Ah you were a good farm, but considering the fact that I destroyed one of your city and lobbied another I think I’ve harm you enough. I’m now member of the great KokyryoEliteII and I learned a lot about this experience. In the defeat I’ve grew wiser and learned a lot about how the merge work and how to take advantage of it in the next merge. Thank you for your time, let me know what you think. 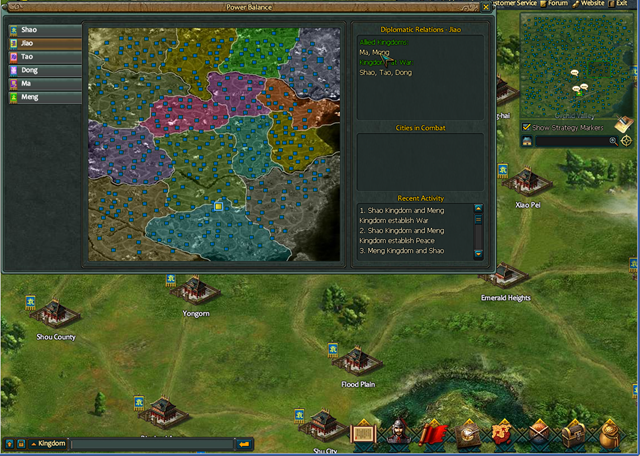 My next post will be about the tactics and strategies I found during the merge. Any of you have any funny story about your merge ? Server 2 is almost over! I can’t wait to see the capital battle of jiao. 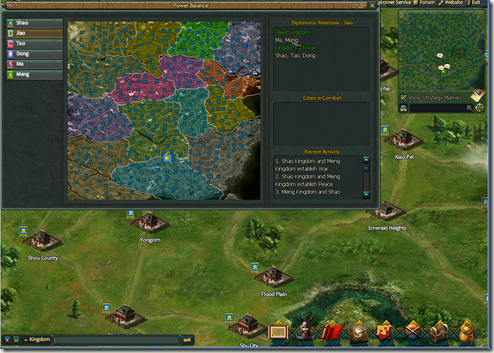 Last week I wrote about starting a new server, I wrote about the really basic stuff, what to build in your capital, do your quiz, do your Historical campaign and battle royal and get you empire one maxed out. Like some may say silver is the most important resources specially early game. 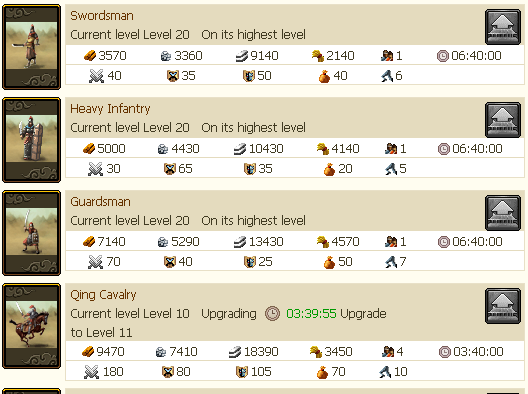 With silver you get better unit, better upgrade, you can use it too boost your kingdom, you heroes and give you gem you can use to produce troops. Build at least 4-5 silvers manor (or more if you want to go uber on silver) build at least one or 2 unit manors and the remaining are resources manors, your resource manor should be 6666 or 7777 city, for unit manor you can either build on type of troop in a 6666 manor or 2 type of troop in a 4444 or 5555 manor. You can check my previous Manor guide article. 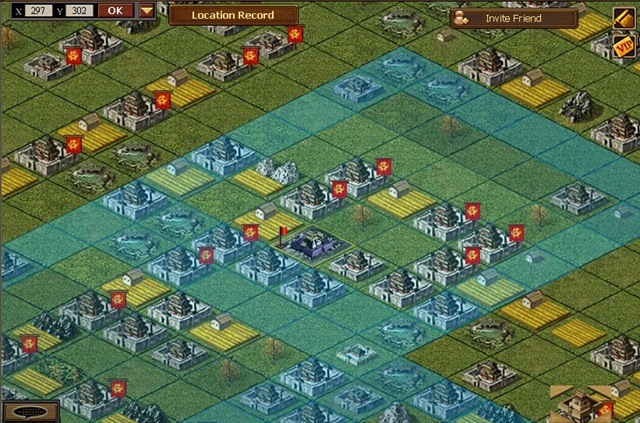 Once you got empire one like I talk in my previous article, the first research you should focus to get is the Hero summit. 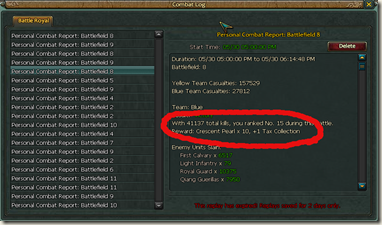 1-Max you number of hero so you can get better reward at historical battle & battle royal, lms, plantation battle. 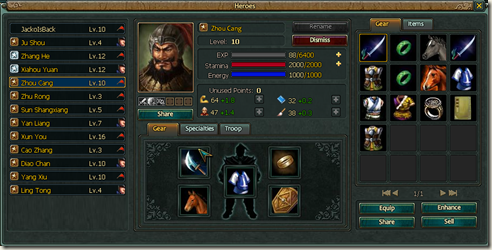 2- get all the bronze and silver heroes and fire the other none silver/bronze heroes. If you are using gold it’s even better because you can host a feast you all heroes will be bronze, silver and maybe gold. 3- focus on the hero that suit your strategy, If you thinking archer try to focus on archer heroes and heroes that have ability and formation that help archer. Hope you liked the guide. 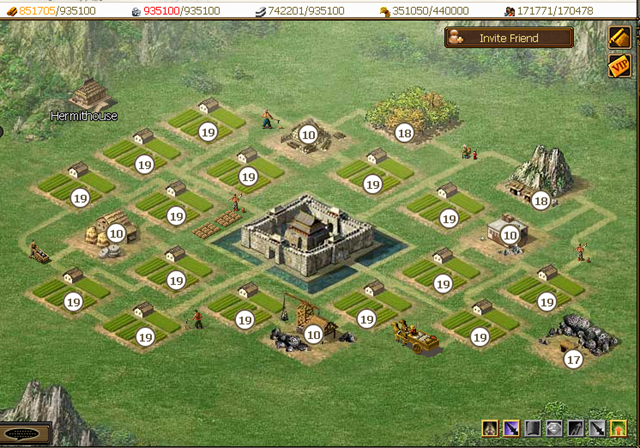 Like the 4444 field but since you only have 1 +100% bonus field for each resource you build 4 extra empty field for a total of 14 Residence. Once done you have only residences for a total of 20. I tend to have one 9x troop manor and 1 or 2 5x troop. 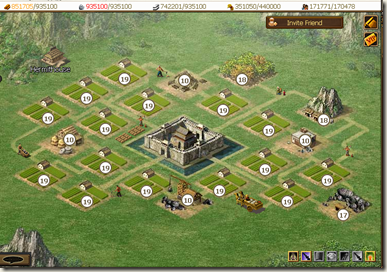 If you have ultimate from 2 different type of unit a 9x might be better since you all build like crazy at the same place and use your 6666 manor for extra resources especially if they give a +20% for one resources. if you don’t turn this in a 5xtroop manor you can use the extra space to benefit from you resources bonus or build the resources you need like I said for the 7777 fields manors. I can across a game that looked good but the controls are so abysmal that I say arrrg lets just forget about it. 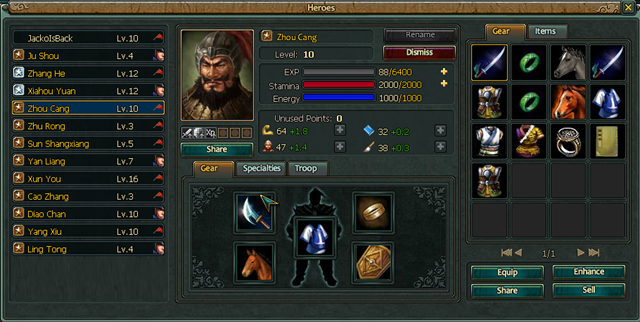 The name of that game is Dragon conquest and our quest for dragon supremacy start here at max game. There 2 mode the conquest mode you customize your dragon and you after go in each region to fight other dragon. I don’t know what happen when you win since I never won a fight in that mode, but each day (try) the dragon in the regions get tougher and you don’t, so once you get beaten you must stop playing, pretty stupid I say. There the arcade mode were you get a dragon and you pick a dragon to fight, this one the dragons can be actually beaten, I managed to win but once you won there nothing you just go back to the title screen. You see the bar at the top left corner you have a cursor moving in all the bar and it has to land in the black zone give a successful hit. The bar is moving so fast that is actually hard to land it there. 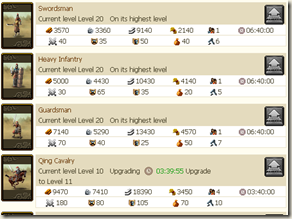 Clash of Kingdom Early game guide 1: What research should I focus on when starting. So you finished the tutorial, you just got your second manors but you’re saying ok but what should I do now.While they are a lot of good guide on the Clash of Kingdom forum but I though I should cook one of my own. 1- Get you capital manor and your first manor running. For the capital you need 1 or 2 barrack to build carrier and maybe some early units to fight. 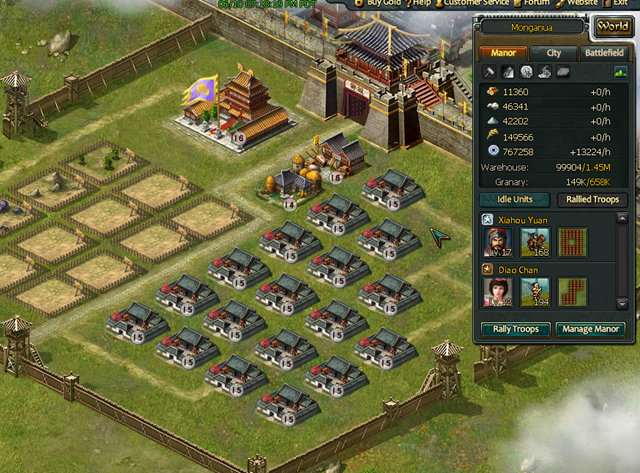 Build the matching resource on all bonus lot, get a granary and warehouse and all other build silver. Your first manors build only silver except on the bonus lot (for now). You shouldn’t have any empty lot build residence (silver) everywhere. 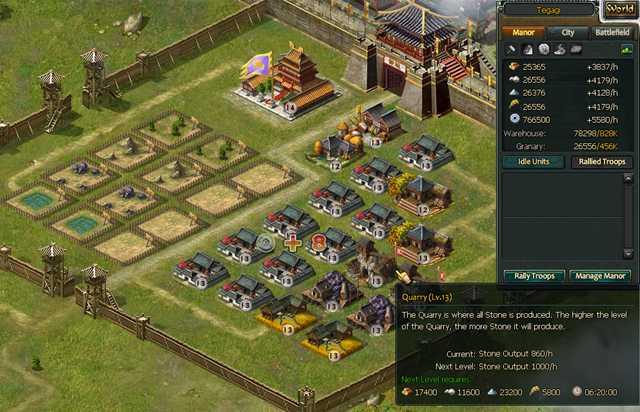 Your goal is to level up empire of one has fast has possible. 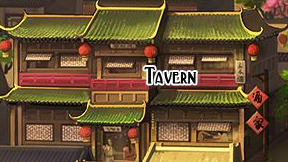 While you city is building and you have no silver to research empire one go to the tavern in the city interface and recruit some heroes. Try to use all your tips until you get a star hero, try to recruit all the heroes you can once you can’t tips the owner anymore. From point 2 you are probably wondering why you should max you number of heroes, it’s simply to have them ready for historical battle & battle royal. 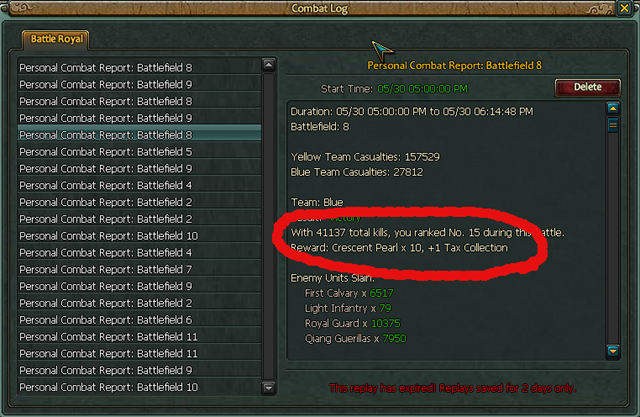 Since you get 10 k of each basic t1 troops in historical battle, battle royal you should use your heroes to rally those troops and fight the historical battle, battle royal. 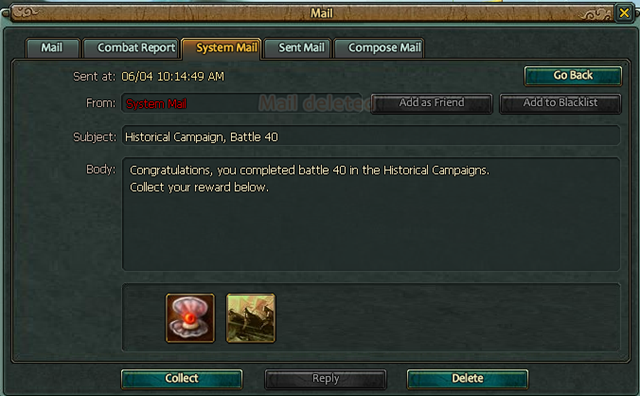 Historical battle fight every fight until you realize your losing, from there fight the last fight you won or a fight that might give extra items like zhang jiao (fortitude scroll) or dong zhuo (rattan aegis shield scroll). For battle royal, just the participation will give you 10x abyss gem and +1 tax license, so participate everyday. 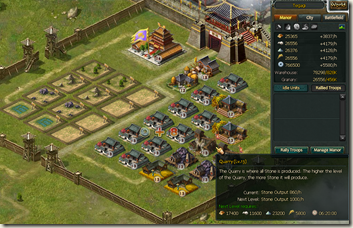 With these reward you should be able to have the resources to build your manor. 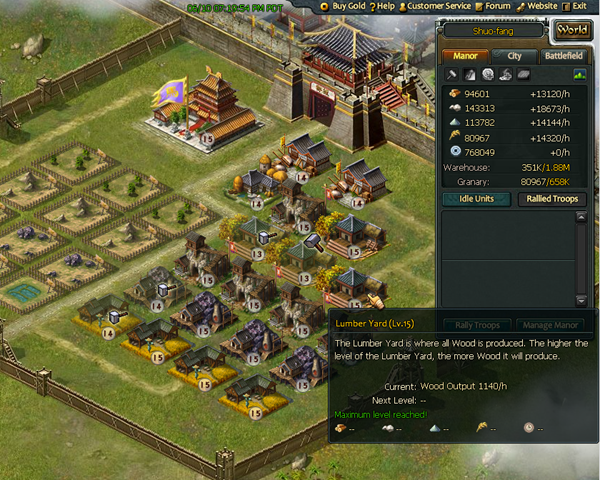 Each time you’re levelling your empire one, you should build a new manor. Note that you shouldn’t over invest in manor that you think will get destroyed. 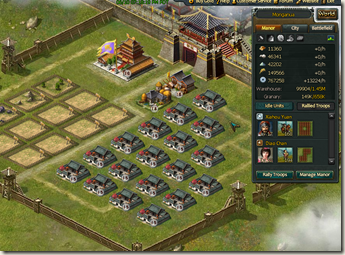 Once you get your empire one maxed you can focus on manor building and heroes, which will be my next article.